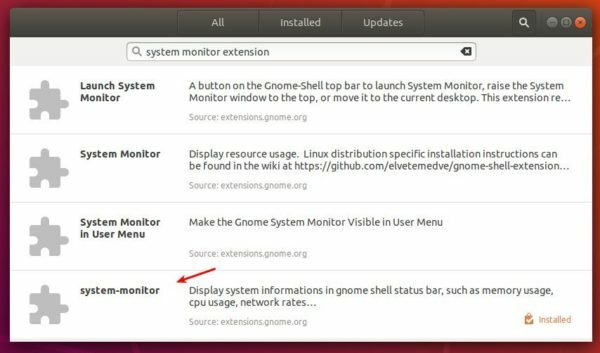 Want to monitor Ubuntu system resources usage momentarily? 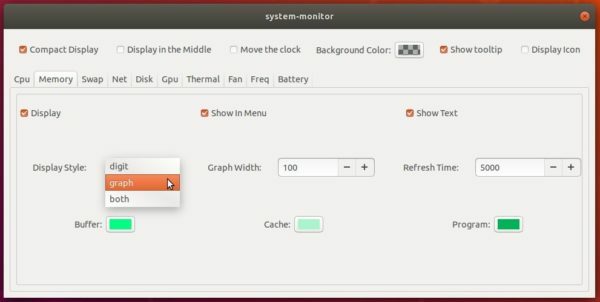 There’s a gnome extension allows to display CPU usage, Memory usage, network speed, disk, GPU, and battery informations in Ubuntu 18.04 Gnome status bar. A drop-down menu with detailed information. Ability to set gragh width, background color, refresh time. 1. 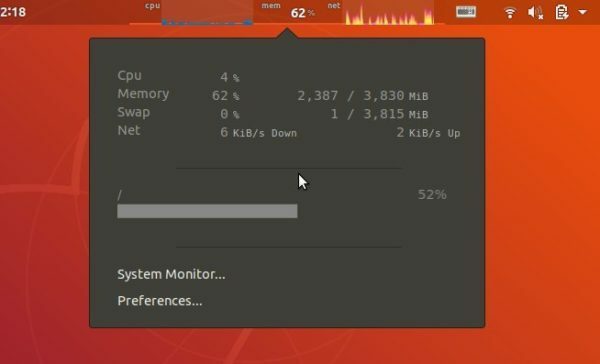 To install the extension, first open terminal either via Ctrl+Alt+T keyboard shortcut or by searching for ‘terminal’ from application menu. 2. Open Ubuntu Software and then search for ‘system monitor extension’. There are a few similar extensions available. In the case, I installed the last one. 3. You’ll see the indicator applet once you installed the extension. Click to show drop-down menu, then go to Preferences and change the applet appearance.